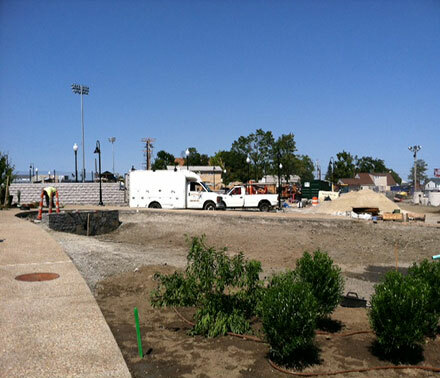 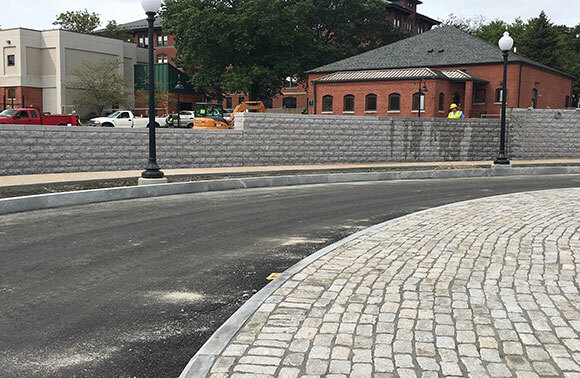 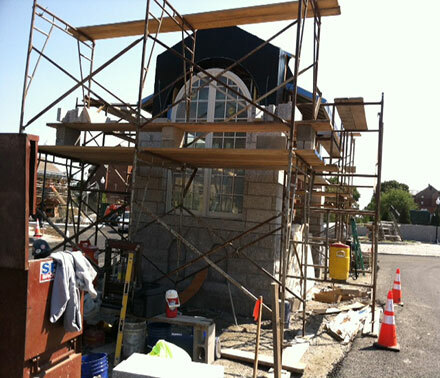 Granite pavers fill the outer ring of the roundabout circle, and behind the serpentine wall nears completion. 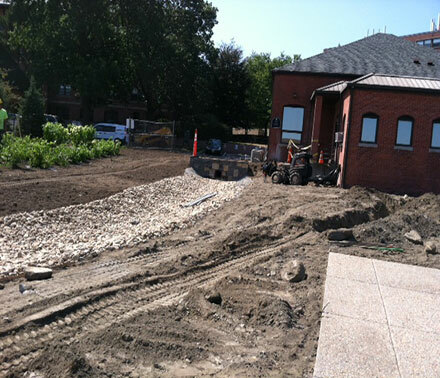 ​A Bioretention system is being constructed that will collect rain water from upper campus. 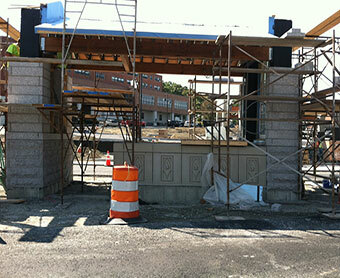 The plantings will be placed similar to the bioretention systems at Slavin Lawn and the Ruane Center.